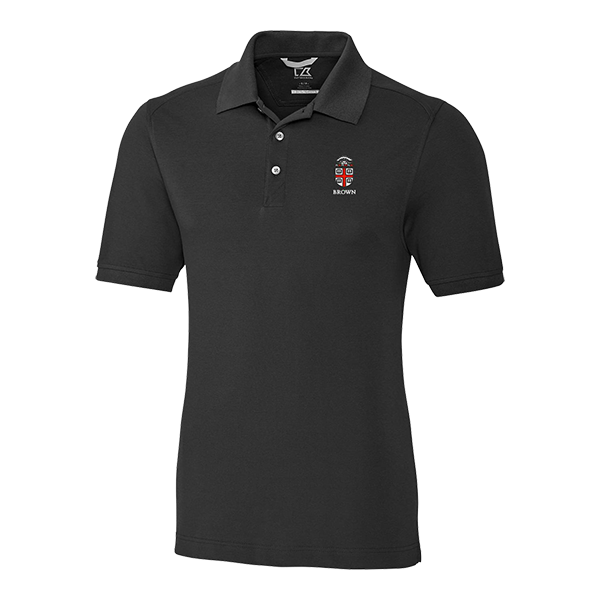 Please select option for Cutter & Buck Advantage Polo - Black or Cardinal. 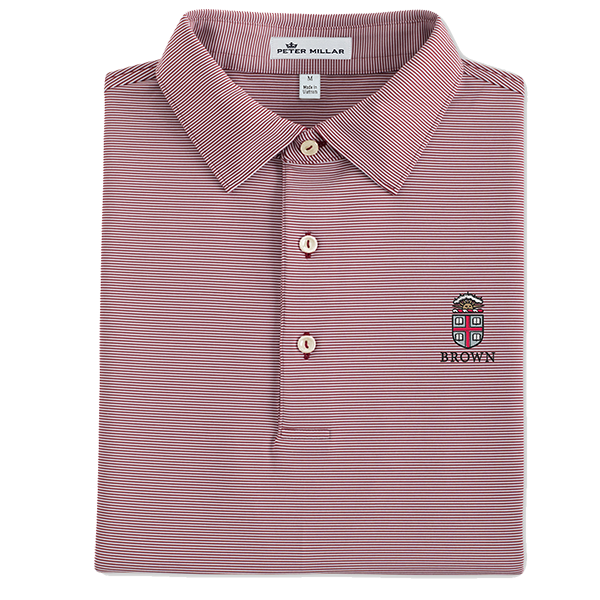 Please select option for Johnnie-O Birdie Polo. 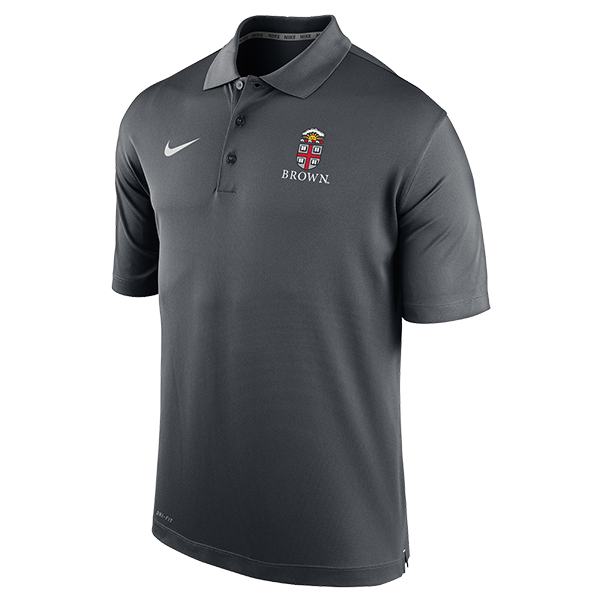 Please select option for Nike Men's Varsity Perfect Polo. 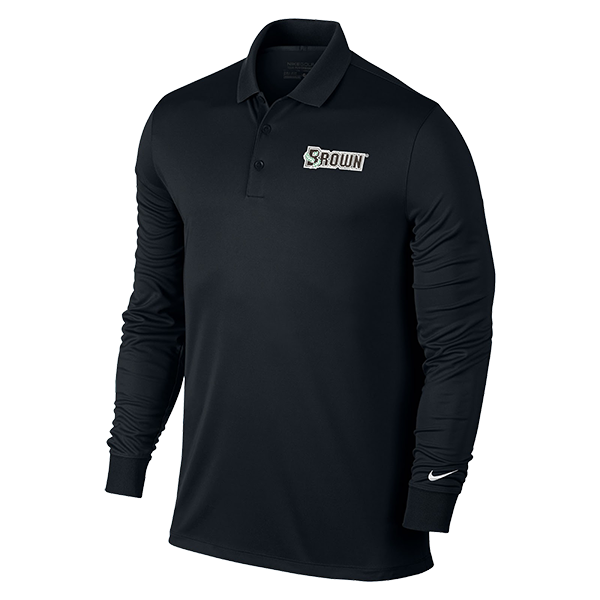 Please select option for Nike Men's Victory Long Sleeve Polo. 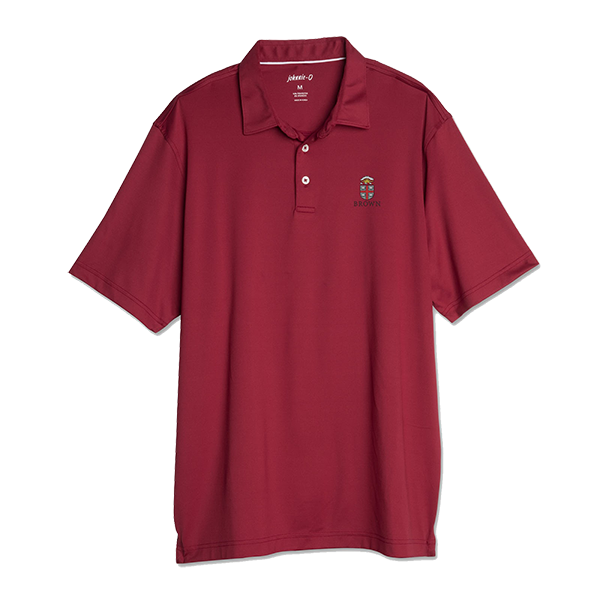 Please select option for Peter Millar Jersey Knit Polo. Please select option for Peter Millar Jubilee Stripe Polo. 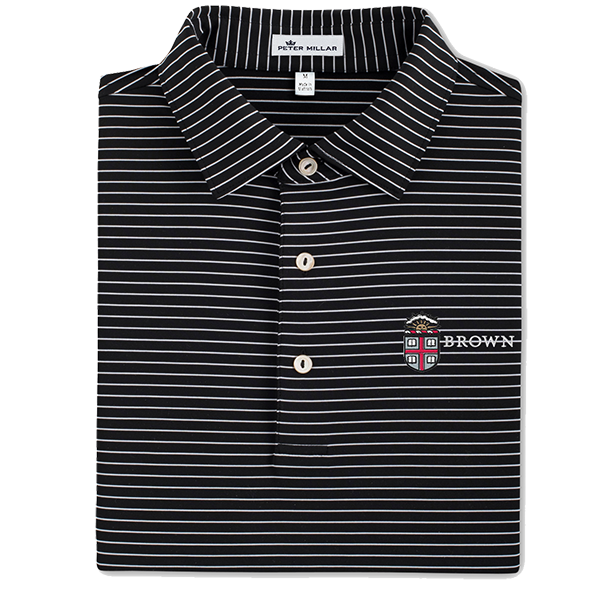 Please select option for Peter Millar Tuition Stripe Polo - Black or Sport Gray. Under Armour, heatgear, UPF 50+, loose-fit, 95% polyester, 5% spandex, brown, 3-buttoned, collared golf polo. 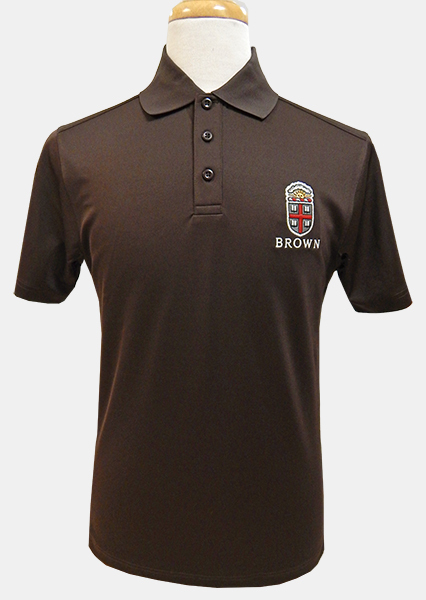 Cardinal, grey, gold, black, and white embroidered patch above 'BROWN' embroidered in white on upper-left chest. UA symbol embroidered in white on left sleeve. 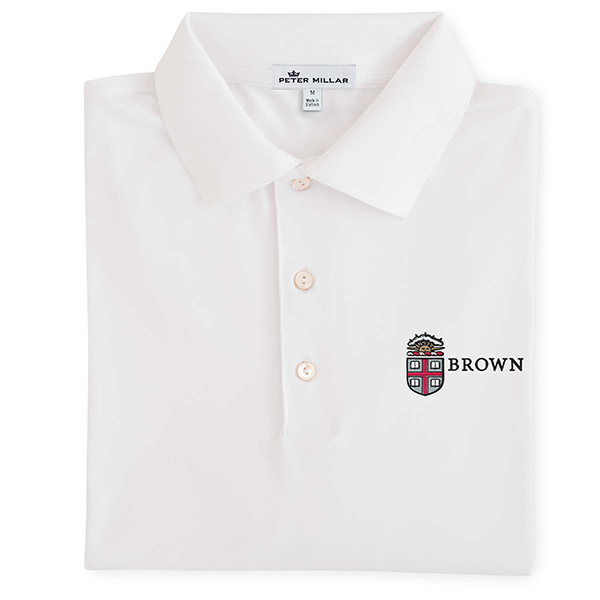 Please select option for Under Armour Brown Crest Golf Polo - $69.99. —Cardinal has size Small and Medium only. 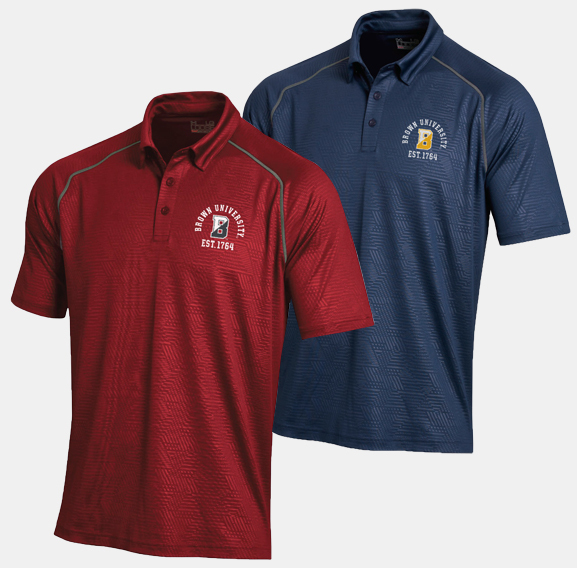 Please select option for Under Armour Golf Polo - $64.99.